Brought on for Shelters xmas campaign to help with the new sites page builds and to assist with email builds – while there also developed new email templates for Shelter. My role here was to help with the migration of The Natural History Museum's dynamic apps to the new site. Olive Magazine is one of the 8 sites at Immediate Media that I helped maintain. Also included a new build for Visordown, my main role was setting up the master pages, navigation, grunt and requirejs. 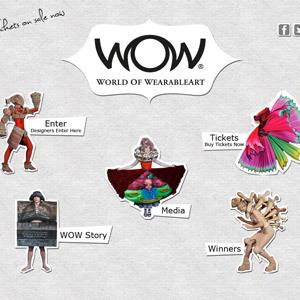 The brief for this project was to re-design and re-create the website for the World Of WearableArt to produce a compelling and interesting user experience. This site was a group project and my role was backend - PHP and database with a bit of jQuery thrown in. 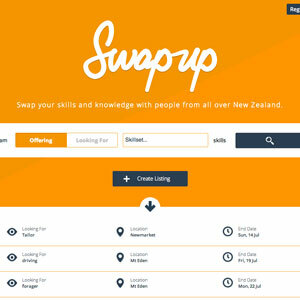 The idea for the site is to bring people together to swap skills without the need for money being the drivng force. 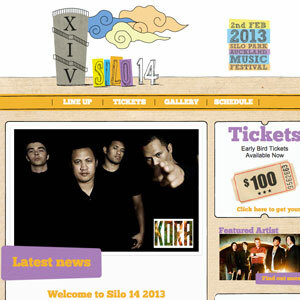 The brief was to design and build a website for a fictitious music festival located at Silo Park, Auckland. All branding and design was done by myself and had to reflect a fun and lively atmosphere. Thank you for taking a look at my sites, I hope you enjoyed looking at them as much as I did designing and building them. If you would like to discuss working on a project or would like to offer me a job, don't hesitate to contact me.